Orchid Cattleya intermedia aquinii var. rubra for sale ! Best quality ! 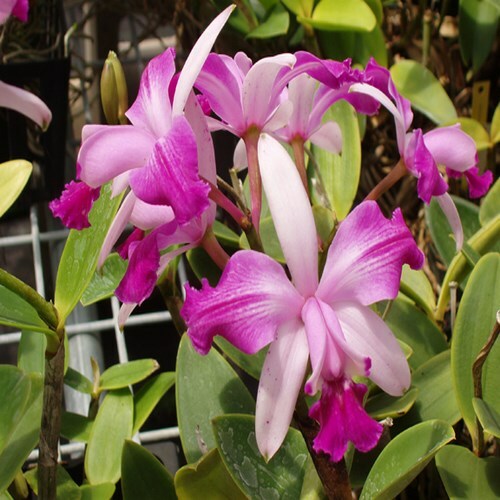 Temperature: winter is 16 ° to 18 ° C and in summer from 18 ° to 22 ° C .
Cattleya orchids can not under any circumstances be offset by more frequent watering , at the risk of killing the plant. Can create a humid atmosphere by spraying the leaves of the plant in the morning to allow the water to evaporate during the day. The water temperature should be 20 º to 22 º C. It is recommended to place the plant on a bed of gravel or clay balls . Pour water in the saucer , you should never see the water on the surface . Never leave the roots in contact with the water in the saucer , if the roots rot . The saucer must match the size of the width of the leaves so that the plant receives moisture when the water evaporates. Watering and hearty morning .